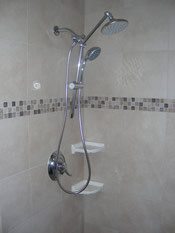 Are you looking for a professional tile installation contractor and a top of the line grouting service? You’ve come to the right place! Our friendly staff and experienced technicians are here to guide you through any tile project you may encounter. With over 10 years of experience, we have the “know-how” on low dust demolition techniques, proper work area preparation and unique tile setting skills. We are fully Licensed, Bonded and Insured in the State of Washington. Our name may be Tile Pro of Seattle, but we also provide the same quality tile and grout services on The Greater Eastside, Kirkland, Bellevue, Redmond, Mercer Island, Medina, Clyde Hill, Woodinville, Sammamish, Issaquah, Factoria, Bothell, Kenmore, Shoreline, Mill Creek, Everett and Snohomish County. Our mission here at Tile Pro of Seattle is to embrace long-term relationships by offering value, quality and consistent performance in a unique way to all of our customers. 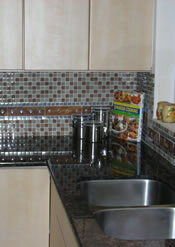 We set our clients’ needs first and we vigorously pursue their full satisfaction on every project. Furthermore, Tile Pro of Seattle will make you proud to refer us to your friends and family knowing that we will treat them with the same respect that we’ve treated you. Q: Does Tile Pro of Seattle warranty their work? A: Yes. Tile Pro of Seattle gives a full 12 month warranty on projects performed solely by our professional technicians. Q: How does Tile Pro of Seattle bid jobs? By the sq ft, by the hour or by the job? A: Every project is unique in its own way. We believe it is best to bid by the job. Q: What form of payment does Tile Pro of Seattle accept? A: Cash or Check only. We're here to assist you with ANY Tile project including Granite Slab Countertops! We take the time to make sure you're 100% satisfied with our tile and grout service!